With Google shipping early explorer editions of Glass to early adopters, the buzz around the product has reached a fever pitch. Of course, this excitement is currently limited to Silicon Valley investors and tech enthusiasts, but it is unprecedented for a product that is still a prototype. Let's take a look at the future of Google Glass. The success of any technology platform (yes, Glass is a potential platform, not just a gadget) hinges on establishing an ecosystem to support the interface. This ecosystem consists of developers/applications, manufacturers/distributors and, of course, consumers (think word-of-mouth, the most effective form of marketing). I don't see Glass at the same stage as the iPhone was when it hit the smartphone market, but more like the original Blackberry Pagers/PDAs (without GSM radios). Therefore, any apps built for the platform, over the next year, are likely to be experimental as well, and will evolve as the hardware evolves. This also means that the adoption curve for this product category is likely to be far slower than smartphones and tablets. The early buzz surrounding Google Glass is very encouraging, not because of positive reviews from early adopters (which is not necessarily a precursor to mass adoption), but because of initiatives like the Glass Collective. I haven't seen this level of excitement, among developers and the investing community, since the original iPhone launch (and that was certainly no prototype). Based on this support structure, my guess would be that applications written for Glass won't just be scaled from smartphones/tablets, but will be built to take advantage of Glass's unique abilities. In my opinion, this is the key developer-centric factor that drives successful technology platforms. As of now, Google is the only company manufacturing and distributing Glass. At the prototype stage, this makes a lot of sense, as it's preferable to limit product availability to those (early adopters) who can appreciate the potential of a product that may not be ready for mainstream adoption. However, over the next few years, Google will have to make a decision to follow a proprietary/integrated approach vs. a partnership/modular approach. Based on what we know about Google and Glass so far, my bet would be on the modular approach, i.e. Google is likely to license the platform to third party manufacturers to enable maximum reach. Apart from Google's advertising based business model (which would have to be overhauled to fit a world with Glass), using Android as the device's operating system ensures that it will be licensed. Since Glass apps (at least for now) will be cloud based, it will be easy for Google to block access to unlicensed manufacturers. In the event of a proprietary approach, this gives OEMs an incentive to fork the Android platform for Glass-like products - today's OHA members obviously lose access to Google services and the Play Store if they fork the OS. 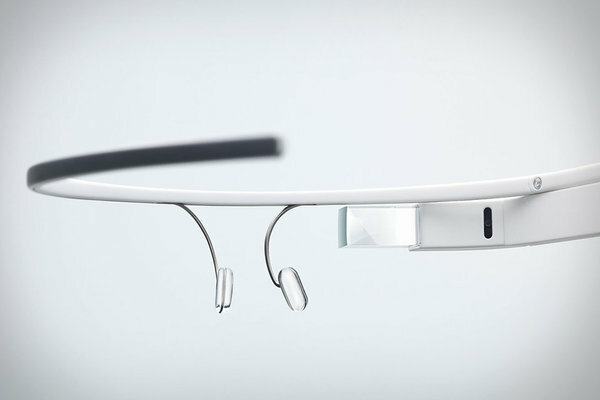 The initial commercial launch of Google Glass, slated for 2014, will be from Google. However, over the next few years, I expect them to gradually transition to a licensing model. I believe Google's revenue model will remain advertising driven and hardware sales of test products are likely to remain a small revenue source.